The times have changed so are the style and venues of the Indian weddings. While in former times the venue of the wedding was the girl's house, nowadays these celebrations are performed at the exotic locations. So, marriages in banquets are fast catching as a new age venue owing to enough space and vast range of amenities and facilities offered at a single place. These new-age venues are not only saving the time and effort of the couples and their families but also giving weddings an elegant touch. In olden days, the marriages used to take place at the bride's house. Nowadays, due to many factors the venue is the banquet hall, a hotel or other places than. Normally, houses do not hold a large space to accommodate all the guests. 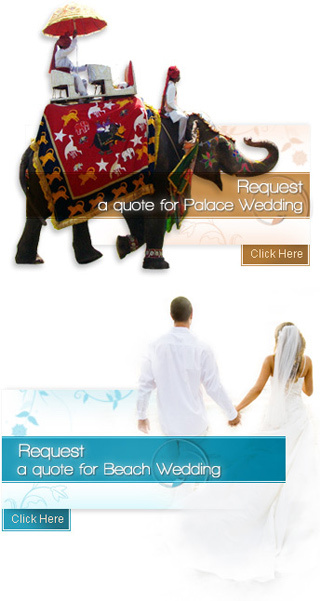 Hence the option of the marriages in banquets is widely preferred. While arranging the marriages in banquets, the first thing that is kept in mind is the budget. A banquet hall is generally provided by the hotels. The banquet hall is a complete package of the hall, cuisines and space. The hotel staff provides a fine arrangement for the wedding. All the customs and rituals can be carried out at the banquet hall. The hotel staff helps and assists in almost all the events that take place in the banquet hall. The marriages in banquets have many advantages over traditional marriage styles. These are mainly about the space and help. The staying arrangement of the guests can also be done at the hotel. Hence the guests find it convenient to attain all the customs and rituals. The guests and the hosts therefore find it very comfortable to carry our rituals at the banquet. Many of the hotels provide a multiple cuisines for the marriages in banquets. The hosts find it easier to make arrangements for the various meals. The guests can be pampered with the various delicacies at the banquets. Marriages in banquets are better in terms of the choice of the wedding venue. The hosts can concentrate on the rituals and customs rather than the arrangement, as the banquet coordinators take the responsibility of the event.